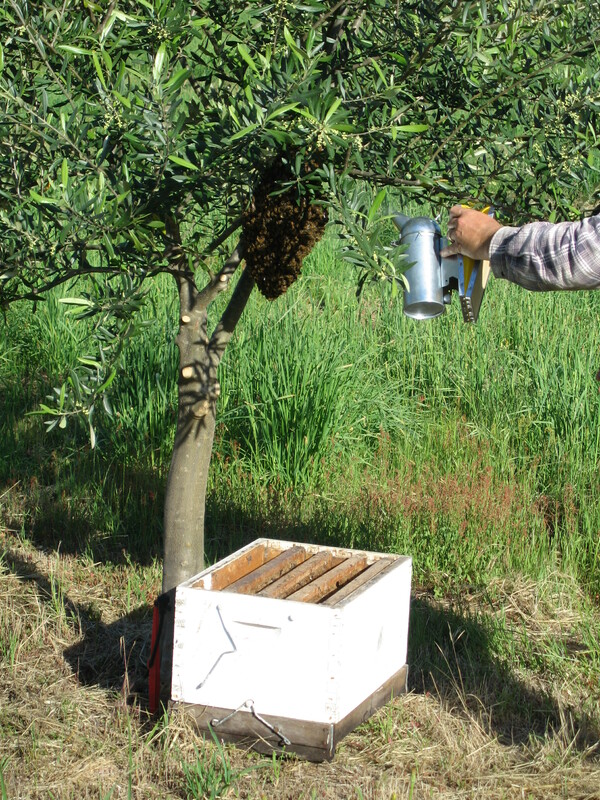 It is now more than 9 years since I came upon this our first bee swarm, when mowing in the young olive grove in November 2005. Luckily my neighbor Jeff Welsh had offered that if I found a swarm, he would help me to ‘put it in a box’. It has been a learning journey since then of course, learning to keep bees. This year, with help from three strong hives sitting by the edge of the orchard, helping to pollinate, has been the best setting of fruit we have ever had. ​We took 40kg of honey already, and there is lots more out there in the tall stacks. And they are great source of interest, watching the activity of the bees through the season, seeing which plants are flowering and giving a strong honey flow that year. There is so much to learn about bees and beekeeping, and I am of course still learning! This workshop will be the first I have run in this format, focused on getting started in backyard beekeeping, where the bees mostly live at one home base to find their forage from whatever is around. The principles and practice of (mostly stationary) bee keeping, including location, forage, life cycle, seasonal management, and equipment.